it's a title of picture arrived today. the real one's color is brighter but it came like this in the photo under the light at night. 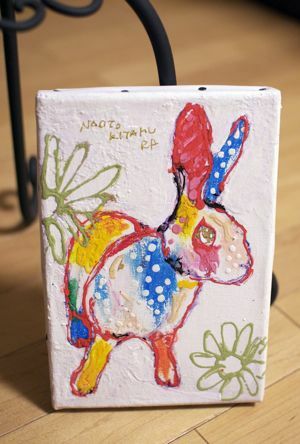 this is the art work of mr. naoto kitamura i recently found(?). 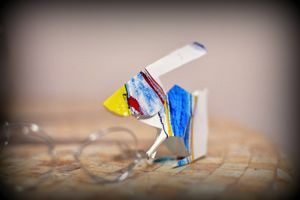 this lovely little paper bunny came with picture! i love it very much...! i wish i could paint the picture like this. where shall i hang this on. i entry bun blog ranking. click the banner please! 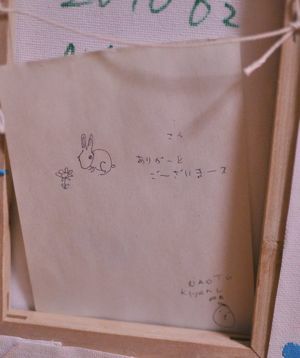 Copyright © うさぎ３羽と都心生活 Rabbitier All Rights Reserved.